This Saturday we are one of today's stops on the Redemption Trilogy Blog Tour hosted by AToMR Book Blog Tours. 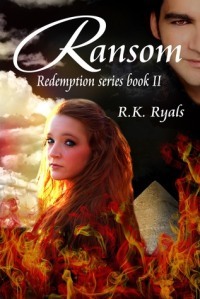 There are summaries of each book in R.K. Ryals trilogy and our review of Book One, Redemption. 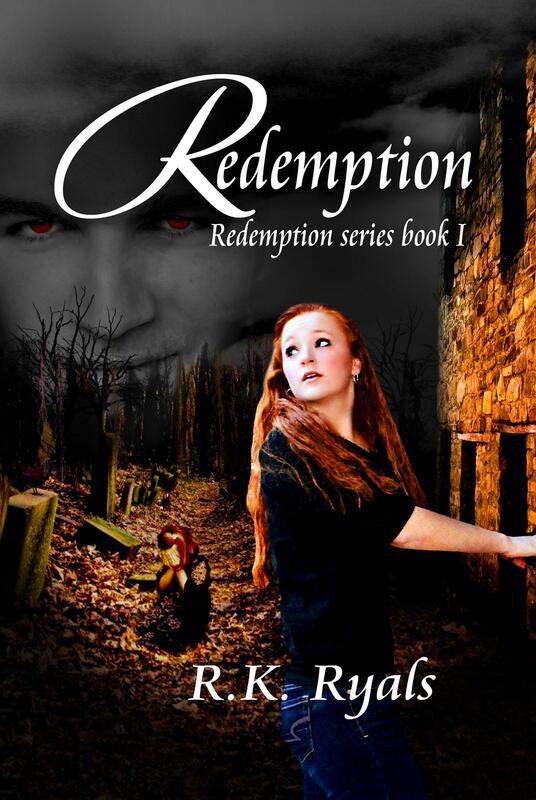 ** Redemption is FREE for the Kindle so this is a great way to try out a new author and book. Get it now from Amazon because we don't know how long it will remain free. ** There is also a giveaway. Thanks for spending a part of your weekend with us. Dayton Blainey is a foul-mouthed, grief stricken teenager forced to live with a religiously eccentric aunt she barely knows following the death of her parents. Often upstaged by her moral older sister, Amber, Dayton is often flung into the shadows. Little does she know that there is more to her than meets the eye. When Dayton's Wiccan best friend, Monroe, sees a vision outside Dayton's bedroom window, a catalyst of events is set in motion that will change Dayton's life forever. She is faced with one major question: Who is she? Dayton and her friends discover the truth behind this question is so much bigger than anyone ever imagined. Vengeance is the path of the Damned. It is not a path taken lightly. For a Naphil, it could mean ransoming his soul. Dayton Blainey is caught between two worlds: Heaven and Hell. Bound to a Demon she's beginning to care about, she is thrown into an adventure she may not survive. Separated from her friends, she is forced to use powers she just discovered she had while surviving the wrath of a Demon queen. And in the search for a ring that may unbind her from Marcas Craig, Dayton will discover that the bond between an Angel and a Demon goes much deeper than blood. Love can overcome many odds. And while this emotion is worth many trials and tribulations, it can also lead to death. It is a love that is forbidden . . .
Dayton Blainey is the only sane Naphil ever to walk the face of the Earth, and she's in love with a Demon she's been bound to by blood. Can love triumph over fate . . .
Marcas Craig is the Demon son of Lilith and Cain. He has a destiny he has turned his back on for Dayton. There is only one choice . . .
Kidnapped by Marcas' insane twin brother, Damon, Dayton has become a pawn in Damon's fanatical attempt at securing his own redemption. The Seal is now in the hands of a mad Demon, there is a civil war brewing in Hell, and Dayton and Marcas' love could destroy Earth. In the end, will love conquer all? I am a Native Mississippian who started writing in elementary school. I was a reserved child who threw away almost everything I wrote. Later, when I was older, I discovered the crumpled pieces of my work in a box in my mother's hope chest. When I asked her why she saved the work, she replied, "What you considered trash, I considered genius." It has been my motto ever since. My mother passed in 2005. She is missed. I am the scatterbrained (no lie) mother of three, and I live in Mississippi with my husband and three divalicious daughters and a female shitszu (also a diva)named Tinkerbell. 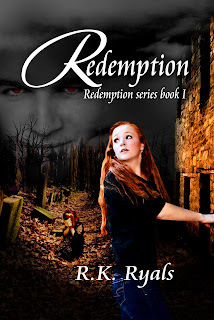 I have become a huge fan of angel books and R.K. Ryals has made me appreciate this genre even more with Redemption, the first book in her charming YA series. Blending the lore of the fallen angels with wonderful descriptions and well-developed characters, I was sucked into Dayton's life and easily fell into her world. As the seventeen year old's story begins, we learn her parents dies when she was ten and along with her sister, were sent to live with their religious aunt. A life of structure, rules and restrictions, Dayton grew up the only way she could: rebellious. Breaking and bending rules, she gets into trouble and doesn't care. 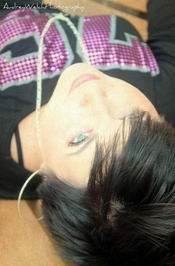 Her outspoken nature is one of the qualities which made her appealing. When her friend sees a premonition, it is just the beginning for the whirlwind of change Dayton has to endure. Finding out she is the child of a nephilim and human mother may be shocking, but there is more. 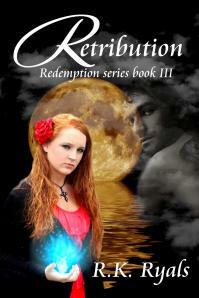 She is already bonded to a demon, Marcus, which creates a special bond between the two. The author created an antagonist who grew on me and made him sympathetic. There were times when I fluctuated between which guy was better for Dayton, her friend, Connor, or Marcus. The story may have been a bit slow moving at the beginning but I already liked Dayton and figured something was coming. That something was Marcas and I'm looking forward to reading the next book, Ransom, to see what happens to them next. Cover comment: This is an 'OK" cover. Book source: I received an ecopy of the book from the author in return for my honest review during a book tour. This series sounds interesting! This is the first time that I've ever heard if it. I love paranormal stories. Especially ones about Heaven and Hell, Angels, and Demons. Thanks for the giveaway!